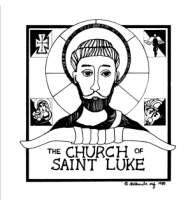 The Church of St. Luke is pleased to offer an exciting and unique approach to the religious formation of children, The Catechesis of the Good Shepherd, for children 3-12 years of age. Using Montessori education principles, recognizing the developmental stages and spiritual needs of the child, it is rooted in the Bible and the Liturgy of the Church. Good Shepherd seeks to be an experience of life and an education in faith, through the celebration of an encounter with the Father, in listening to Jesus the one Teacher, and in obedience to the Spirit. Our CGS program is an approach to the faith formation for disciples ages 3-12, which is rooted in Liturgy (the Mass), scripture, and prayer. Level I - Preschool-K disciples ages 3-6: The curriculum theme is “The Good Shepherd”. Note: A disciple age 5 must be entering kindergarten in the Fall. Level II - Grades 1-3 disciples ages 6-9: The curriculum theme is “The True Vine”. Note: A disciple age 6 must be entering grade 1 in the Fall. Level III—Grades 3-5 disciples ages 9-12: The curriculum theme is “The Plan of God”. Note: A disciple age 9 must be entering grade 4 in the Fall.